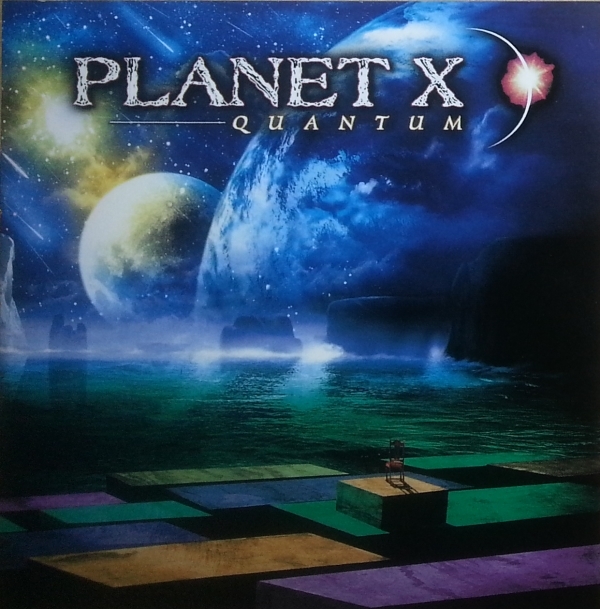 Is there anyone out there who does not know what to expect from a Planet X album? Insanely complex instrumental music that melds metal, prog, and fusion, played with precision that would put to shame any military or scientific organization. For their third studio album (fourth if you count the Sherinian solo album that started it all), the band consists of founders Derek Sherinian and Virgil Donati with a revolving cast of bassists and guitarists, with Brett Garsed taking the lion’s share of six-string duties aside from a couple of appearances from Allan Holdsworth. Jimmy Johnson and Rufus Philpot take care of the low end. To a certain extent, Holdsworth’s fluid playing is at odds with the tight precision of the others – at heart he’s more improvisational, but he provides just the kind of relief the music needs. To be fair, there are many moments where the insanity relents and some atmospheric keys back a lyrical guitar solo, but the main thrust is the heady and willfully difficult louder, faster parts. Tempo and meter are hardly ever kept constant for very many consecutive bars, with beats dropped here, added there, and probably juggled around in midair in tandem with chainsaws and bowling balls. I can handle the intensity for a few tracks at a time, but it does get kind of tiring listening to more than that – my poor brain just can’t handle that much boggling. Wonderful stuff in moderate doses.